Mon Match avec la vie (Carpentier By Himself, in the English translation by Edward Fitzgerald) was published in 1954 and widely circulated. It is considered the standard Carpentier autobiography. The book, ghost-written by Robert de Thomasson, is a savvy blend of ring anecdotes, celebrity encounters, and assorted musings. It reads more like a novel than an autobiography, though it is at pains to respect fact. 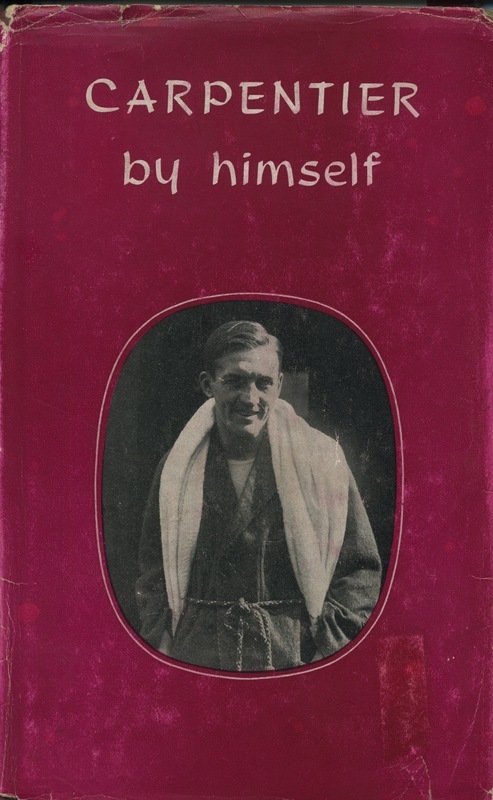 The narrative voice come across as witty, modest, honest, discreet and thoroughly likeable; the reader comes away with the distinct impression of having gotten to know the French boxer. In contrast to today’s celebrity autobiographies, which tend to be excessively sensationalistic and formulaically “tell-all,” Carpentier/Thomasson’s text is both personal and intimate while always remaining discreet. Of particular note is the fact that the volume contains the first confession, at least in print, on Carpentier’s part that the Siki fight, some twenty-two years earlier, had been a fix (see Mon Match, 228-230, and Carpentier by himself, 168-170: “[…] in agreeing to the swindle, I had committed not only a grave offence but also a gross act of folly”).